19 March 2018, Smartlog, the leading logistics solutions provider in Vietnam kicked off its partnership with GreyOrange, a leading global company specializing in robotics and supply chain automation. The purpose of this partnership is to apply robotic solutions to automate and improve supply chain operations using the latest technologies, as well as improve the competitiveness of Vietnamese enterprises. According to the agreement, Smartlog will be responsible for pre-sales, solutions integration and after-sales services for the products and solutions from GreyOrange; goods-to-person Butler robotics system and high-speed Linear Sorter. This agreement is an important milestone for collaboration between GreyOrange and Smartlog to significantly transform the operations of their customers in Vietnam. Both parties will work together to provide solutions for logistics service providers, manufacturers and warehouses operating in industries such as e-commerce, retail and consumer packaged goods, among others. 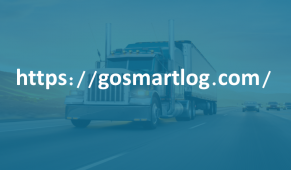 About Smartlog: founded in 2015 in Vietnam, Smartlog is a startup pioneer in solutions for logistics operations in Vietnam. The experienced team has strong passion to transform logistics in Vietnam in the age of Industry 4.0 and offers a wide range of logistics solutions to help customers improve service quality and operation efficiency.